It comes as no surprise, of course, that gutbucket soul music is one of those genres that’s never really died, that like rock ‘n’ roll or jazz or any other form of popular music that’s not really central to the current conversation there will always be a small percentage of young, talented people who want to explore it. 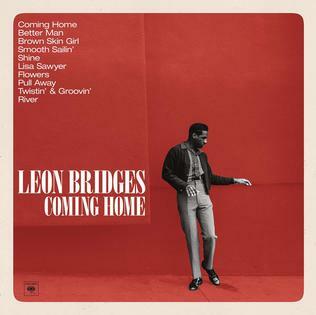 What is a surprise is that a guy like Leon Bridges got his classic Staxy soul album Coming Home released on a major label like Columbia. And that it was a bit of a hit, reaching #6 on the Billboard charts, especially for an album that makes very few concessions to any kind of modernization.